Hey Dolls! 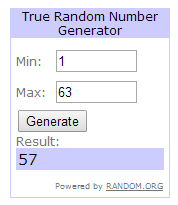 The much awaited result for OASAP Giveaway Winner is here. And the prize goes to Becca, entry 57. Heartiest Congratulations to the lucky winner. You'll be contacted shortly by the lovely OASAP team. Sorry for announcing the results so late. I was traveling. A lot. India, Hongkong. So yes that means lots of pictures. Stay tuned. And if you didn't win , don't worry. There is another giveaway for you again sponsored by OASAP. Don't forget to participate there too. It'll go live today only.